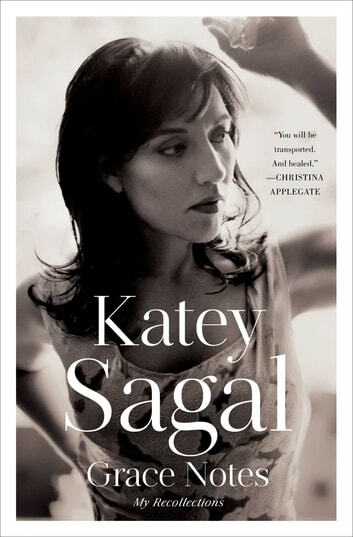 Award-winning beloved actress and talented singer/songwriter Katey Sagal crafts an evocative and gripping memoir told in essays—perfect for fans of Patti Smith’s M Train and Mary-Louise Parker’s Dear Mr. You. In Grace Notes, Katey Sagal chronicles the rollercoaster ride of her life in this series of gorgeously wrought vignettes, resulting in a memoir unlike any other Hollywood memoir you’ve read before. She takes you through the highs and lows of her life, from the tragic deaths of her parents to her long years in the Los Angeles rock scene, from being diagnosed with cancer at the age of twenty-eight to getting her big break on the fledgling FOX network as the wise-cracking Peggy Bundy on the beloved sitcom Married…with Children. Sparse and poetic, Grace Notes is an emotionally riveting tale of struggle and success, both professional and personal: Sagal’s battle with sobriety; the still birth of her first daughter, Ruby; the challenges of maintaining a marriage with her second husband as he struggled with his own addiction; motherhood; the experience of having her third daughter at age fifty-two with the help of a surrogate; and her lifelong passion for music. Intimate, candid, and offering an inside look at the entertainment industry, Grace Notes offers unprecedented access to the previously unknown life of a woman whom audiences have loved for over thirty years.